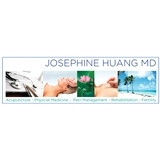 Dr. Josephine Z. Huang, MD (New York) - Book Appointment Online! Our treatment approach is first to relieve or decrease pain, stress, and discomfort, then target the underlying causes of We are a premier provider of acupuncture in the tristate area and a full-service facility of physical medicine and rehabilitation based in lower Manhattan. We use acupuncture, physical therapy, and medication to treat musculoskeletal pains, joint pains, and neuralgia. the imbalance or malfunction of systems in the body to bring functioning back to normal. We are confident that through our expertise and our dedication to patient care we can help relieve patients’ pain while preventing a recurrence of the symptoms that caused them to seek our help in the first place.